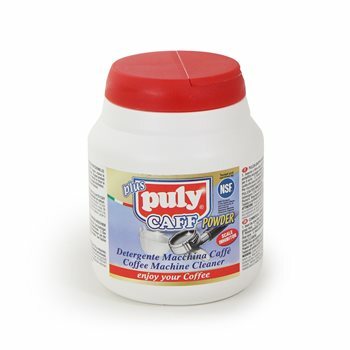 We import Puly Caff direct from Italy, it is the world’s number one coffee machine cleaning powder. Cleaning your machine on a regular basis will help with the consistency of your coffee and ensure a longer life for your machine. Very few domestic machines can be backflushed but soaking the filterholders and baskets, to keep them clean, and giving a good scrub around the shower screen and gasket will definitely be a benefit.